Today is our hard-hitting right fielder’s birthday – he’s now 31 years old. He’s gone from this precocious kid (bottom left) to a man with a cult following because of a beard (bottom right). His transformation from free-agent pick up to one of the most feared hitters in the National League has been stunning. 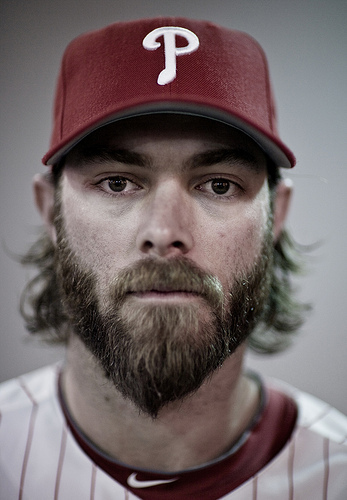 Phillies Nation salutes you, Jayson Werth.